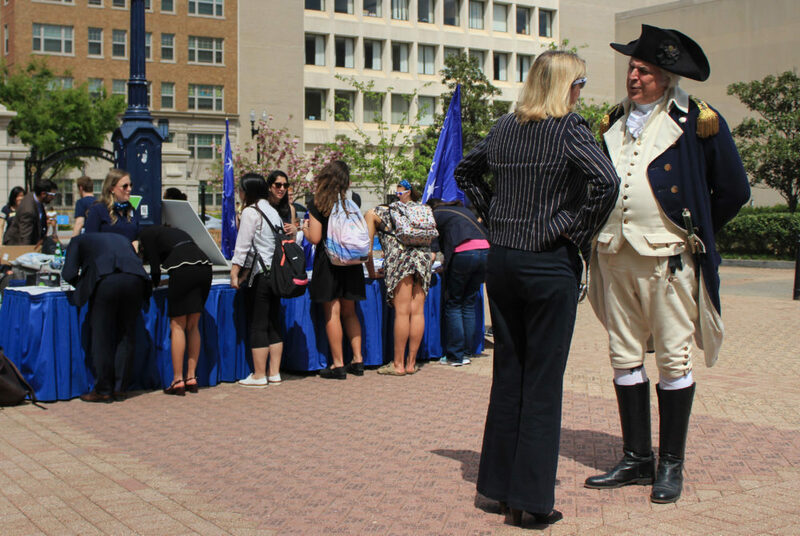 A George Washington impersonator speaks in Kogan Plaza Wednesday during Flag Day, GW's annual fundraising event. Updated: April 14, 2017 at 12:47 p.m.
GW hosted its third annual Flag Day fundraising event in Kogan Plaza Wednesday, rallying students and alumni to donate to the University. Student and alumni volunteers urged students to give to the University and penned thank you notes to donors, while posting pictures of the event on social media. Officials declined to say how much money the event raised in total. Flag Day began in 2015 as a high-profile fundraising blitz targeting students and recent alumni. 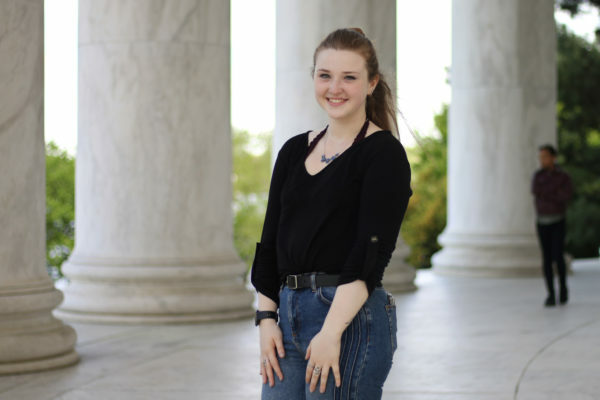 This year if 500 students donated to GW, anonymous donors would give $5,000 to the Ron W. Howard Assistance Fund, which offers emergency funding to students struggling with unexpected expenses. Officials fell short of the 500 student goal for the day, but the donors still made the contribution, University spokesman Brett Zongker said in an email. During both previous events, the University received donations from more than 500 student contributors. Two years ago, the event raised around $40,000 from more than 600 students and 200 alumni. Last year’s event racked up more than $100,000 in donations after officials switched its focus from student to alumni giving. 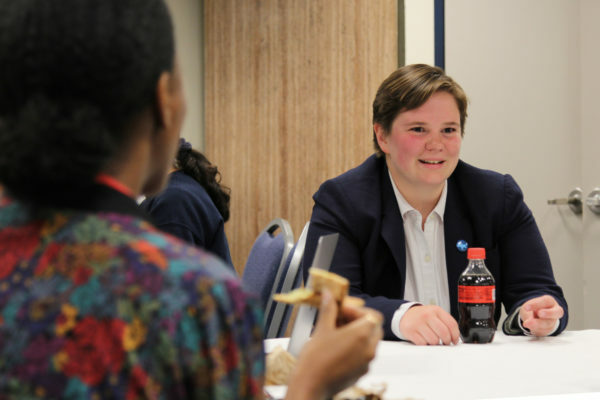 At Wednesday’s event, students were given free cupcakes for writing thank you notes to donors. The festivities included the first ever Philanthroquest, a scavenger hunt where students learned about landmarks on campus built from donations and won prizes like restaurant gift cards. This year’s philanthropic celebration came as the University’s $1 billion dollar fundraising campaign neared its goal with $984 million donated thus far. Alumni make up more than half of the donors to the campaign. David Anderson, the interim executive director of Annual Giving, said Flag Day is designed to celebrate philanthropy and make students more aware of its impact. “The day is about building awareness that philanthropy impacts the student experience at all levels,” Anderson said. Scott Allen, an alumnus and associate director of the Athletic Alumni Program, said he was volunteering at the event because he wants to help make connections between alumni and students. Allen said that he has specifically donated to athletics because he was a student athlete during his time at GW. Junior Calvin Sanders, who donated to the Assistance Fund during Flag Day, said that he gives money every year during the event. After working at the development office for two years, Sanders said he saw firsthand the importance of giving to the University. Alumni Association President Jeremy Gosbee said that seeing alumni involvement with students encouraged parents and students participating in Inside GW. Gosbee said that gestures like writing thank you notes to alumni donors helps them see where their gifts are going. 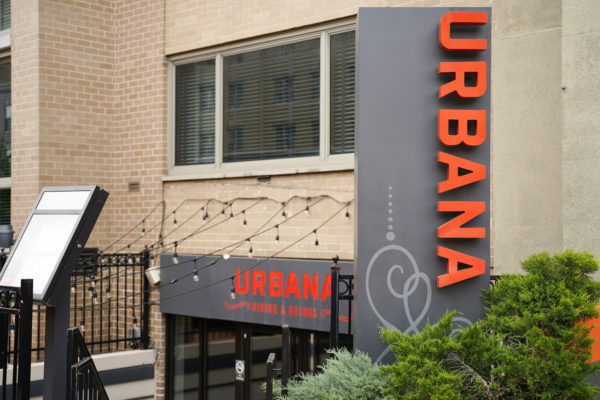 “It’s good for families to see that alumni are connecting with our students when it comes to career networking and helping them make connections with the outside world,” Gosbee said. The Hatchet incorrectly reported that David Anderson was the senior associate vice president for development and alumni relations. He is the interim executive director of Annual Giving. The Hatchet also incorrectly reported that Calvin Sanders worked in the alumni relations office. He worked in the development office. These titles are now correct. We regret these errors.